As expected, the iPhone 5 led a busy Wednesday of product announcements for Apple. But it wasn’t the only unveiling at the company’s San Francisco press event, which also featured new iPod models for the holiday season, a revamped version of iTunes, and a shipping date for iOS 6. But the latest iPhone was clearly the star of the show during the two-hour long press briefing hosted by CEO Tim Cook and featuring a multitude of Apple executives. The new iPhone features a taller screen, new dock connector port, LTE support, and camera improvements. 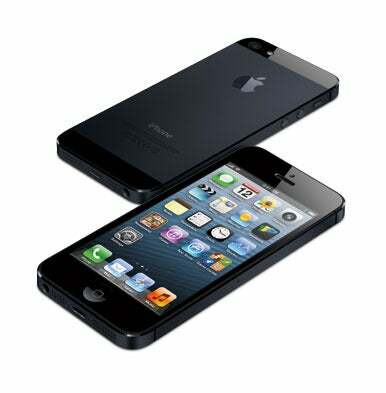 You’ll be able to pre-order the iPhone 5 on September 14, with the phone arriving in stores a week later in the U.S. and eight other countries. Pricing remains unchanged from the iPhone 4S: A 16GB iPhone 5 costs $199, a 32GB iPhone 5 costs $299, and the 64GB model costs $399. That buys you a phone with a taller display than the preceding iPhones. 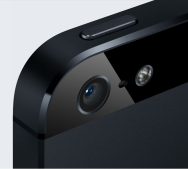 The iPhone 5’s Retina display measures 4 inches diagonally, with 1136 by 640 resolution. That extra space allows Apple to squeeze in an extra row of icons on the home screen; native apps are also being updated to take advantage of the larger display. The iPhone 5 does away with the 30-pin dock connector port, swapping in a smaller port that Apple has dubbed Lightning (a play off the Thunderbolt interface used in Apple’s Mac lineup). The iPhone 5 adds support for LTE, HSPA+, and DC-HSDPA on top of the GPRS, EDGE, EV-DO, and HSPA networking capabilities of the last iPhone. LTE partners in the U.S. include Sprint, AT&T, and Verizon. The built-in camera features an 8-megapixel sensor and features a lens cover for the first time. 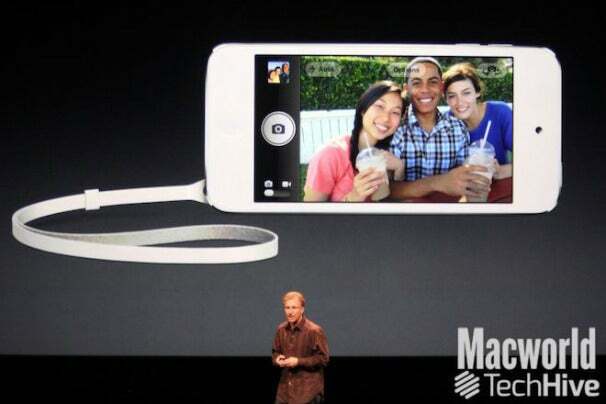 The new A6 processor that powers the iPhone 5 includes an image signal processor for improved photographs. The Camera app also includes a Panorama feature for stitching together wide shots. 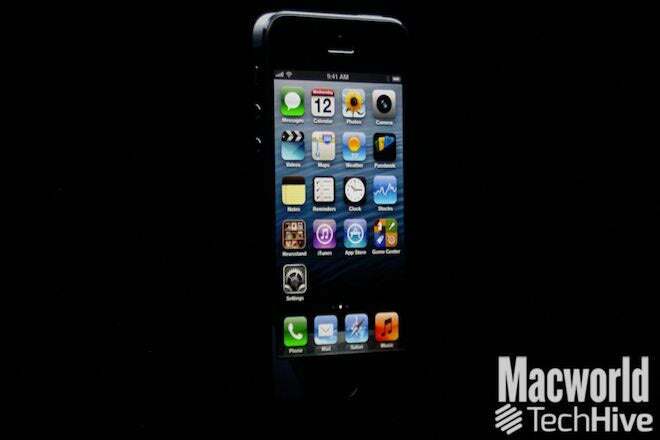 When it ships, the iPhone 5 will run iOS 6, the next version of Apple’s mobile operating system. Other iOS devices will get to install the new iOS a few days before the iPhone arrives, however: Apple announced a September 19 ship date for iOS 6. iOS 6 is a free update available to the iPhone 3GS, iPhone 4, iPhone 4S, fourth-generation iPod touch and later, and the second- and third-generation iPads. Much of Apple’s iOS 6 demo on Wednesday mirrored a preview of the iOS update offered in June. However, Apple did show off its new mobile stores for iOS 6. The iTunes Store, App Store, and iBookstore now have a unified matte black design, and Apple promises improved performance. The aging iPod line also got some attention Wednesday as Apple unveiled updated versions of both the iPod touch and the iPod nano. The fifth-generation touch now comes in multiple colors and features a loop that can attach to a wrist strap. More significantly, it has the same spruced-spruced up screen introduced with the iPhone 5. (The touch is powered by a dual-core A5 processor, similar to the chip that runs the latest iPad.) 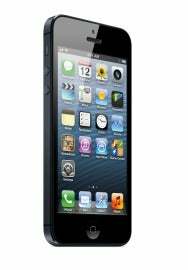 Other changes to the iPod touch include camera improvements and iOS 6 compatibility. It will also support Siri, Apple’s voice-activated personal assistant. The fifth-generation iPod touch costs $299 for a 32GB model and $399 for a 64GB model; it goes on sale in October. 16GB and 32GB versions of the fourth-generation touch remain on sale for $199 and $249. A new iPod nano is also set for an October release. When it arrives, the seventh-generation nano will feature a multitouch display and support video playback. It also include Bluetooth, giving the nano the ability to wirelessly stream music. The nano is available in seven colors and costs $149 for a 16GB model. 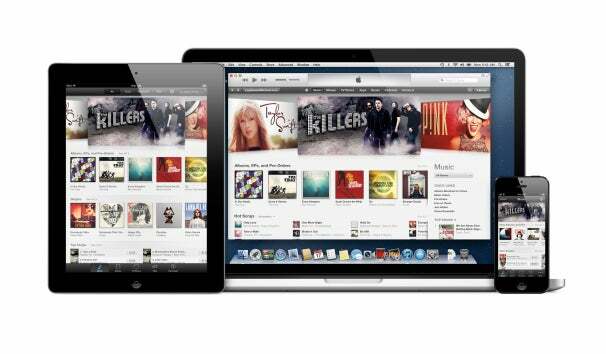 In addition to the hardware, Apple also announced a overhaul to iTunes that will arrive in October. The new version will offer a simplified interface, the ability to play media directly from iCloud, a new MiniPlayer, a redesigned iTunes Store, and more. But that new iTunes isn't arriving for another month. 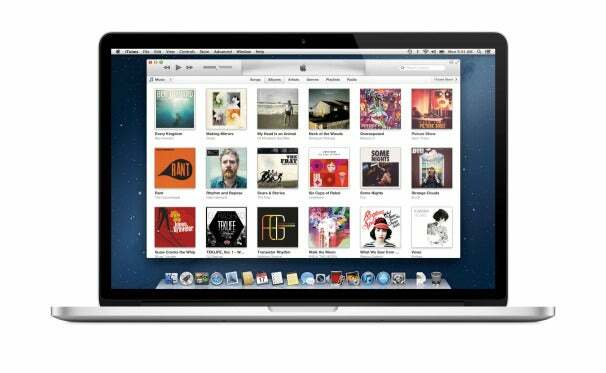 Until then, iTunes 10.7, released Wednesday, offers support for iOS 6 running on compatible iOS devices. Apple announced at Wednesday’s press event that the newest version of the company’s mobile operating system, iOS 6, will be available for users to download on September 19. The update will be free and available for the iPhone 3GS, iPhone 4, and iPhone 4S; the fourth-generation iPod touch; and the the second- and third-generation iPads. If you have iOS 5 installed, you'll be able to download iOS 6 over the air on the 19th via the Software Update screen in the Settings app; if you're running a previous version of iOS, you'll have to use iTunes. The newly announced iPhone 5, available September 21, and the fifth-generation iPod touch, available in October, will ship with iOS 6 pre-installed, as will the fifth-generation iPd touch. 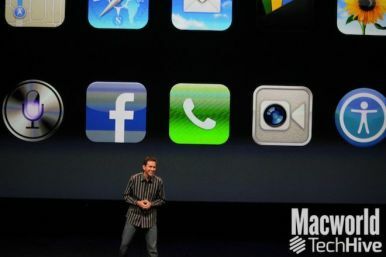 Senior vice president of worldwide marketing Phil Schiller announced the date on-stage at Wednesday's press event after senior vice president of iOS software Scott Forstall took the stage to provide a brief demonstration of some of the new features coming to Apple’s mobile operating system. some of which had already been previewed in June at Apple’s Worldwide Developers Conference. Apple’s new iPhone 5 sports a better, faster iSight camera with enhanced still and video capabilities and improved low-light performance. Many of the improvements are software-based. While the camera is still 8 megapixels, like the previous 4S model, its resolution is now 3264-by-2448 on a retina display. There's still backside illumination, a hybrid IR filter, a five-element lens, and a fast f/2.4 aperture. A new dynamic low-light mode can sense dim light and boost the aperture by two stops. A new optical system includes precision lens alignment, which Apple says is measured down to the micron level. For the first time, a sapphire crystal lens promises clearer and sharper images. The ability to take macro and close-up photos has also improved. A new image signal processor is built into the iPhone 5’s new A6 chip, and Apple says that the camera is 40 percent faster than its predecessor and has 44 percent more color saturation than the previous model. Spatial noise reduction removes noise via a smart filter that looks at images and performs noise reduction and figures out which areas should be of uniform color or texture. That improves low-light performance, overall. On the software side, there’s now a panorama capability. The process, as demonstrated in the keynote, is easy. Just tap, hold the phone vertically, and sweep the scene you want to capture. According to Apple, the camera, the device's gyroscope, and high-powered new chip work in concert to capture up to a 240-degree panorama span of up to 28 megapixels. Software tells you what pace to move it at, on the fly. The software is designed to compensate for camera movement and some jerky motion. 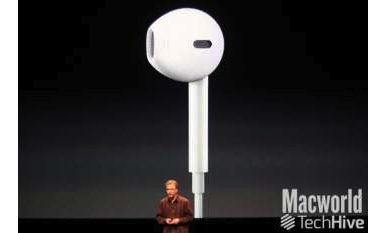 Alongside its new iPhone and iPod models, Apple also unveiled a new set of $29 earphones. The new product—dubbed EarPods—replaces the earphones that have been shipping with Apple’s portable devices for more than a decade.